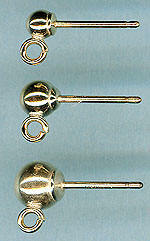 FRENCH FLATTENED EAR WIRE with ball and coil - 1/20 12K Gold Filled. 20 mm FRENCH EAR WIRE - 1/20 14K Gold Filled. 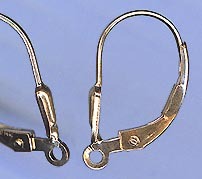 FRENCH EAR WIRE - 1/20 14K Gold Filled. 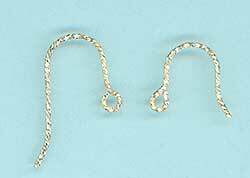 21 Ga. ear wire - 2" long 1.0 mm Cable Chain with Ring. 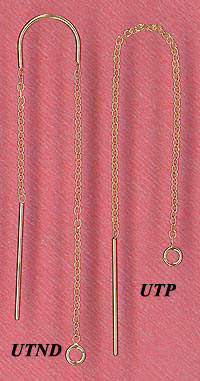 1-3/8"long back chain and tongue. 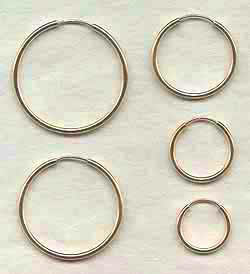 Open jump ring. 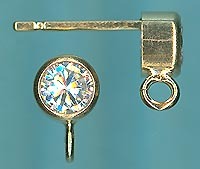 Small Light EAR NUT - 1/20 14K Gold Filled. 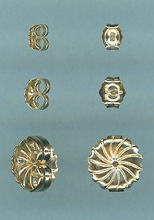 Large Floral EAR NUT - 1/20 14K Gold Filled.